Researchers at the Max Plank Institute for Evolutionary Anthropology in Leipzig and I are studying the evolution of the traditional Tamil artwork called kolam. The ner pulli nelevu kolam is a type of winding knot-like pattern drawn around a matrix of dots. 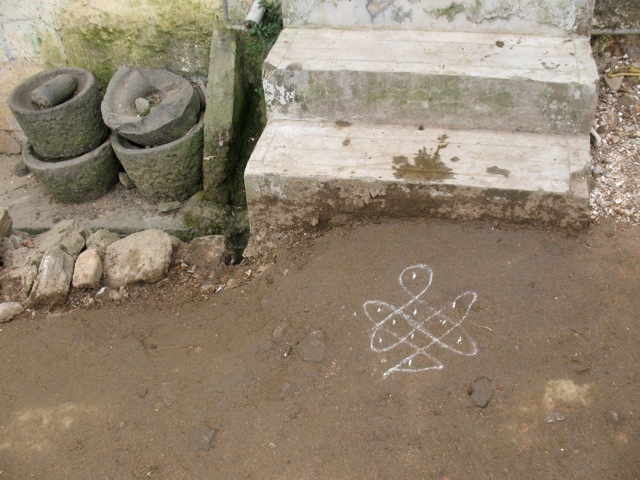 Women across Tami Nadu draw kolam patterns with rice or chalk powder on their doorsteps in the early morning. 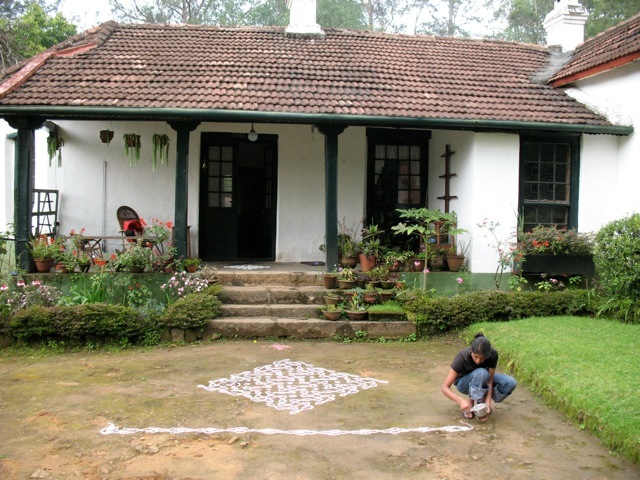 These kolam patterns have many meanings, are linked with progress through a women’s life, the protection and beautification of the household, and are seen as a sort of visual prayer which invites gods into the home, while warding away demons.